My husband, John, and I got married on October 19, 2013. We knew that we wanted to try to have a baby immediately. I have a now ten-year old daughter whom John has been a father to since she was five, and we were anxious to expand our family. 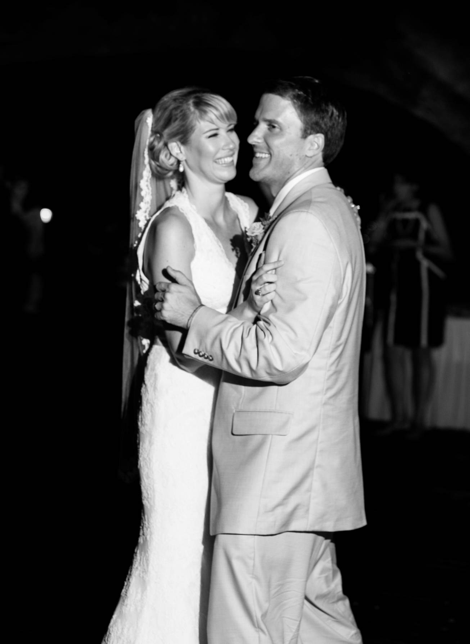 We were very pleasantly surprised when I was pregnant only six weeks after our wedding. We confirmed the pregnancy at the doctor’s office on Monday, December 23, 2013. Two days later, on Christmas Day, we shared our happy news with our immediate families, even though it was incredibly early. That Friday, December 27, we had a preliminary ultrasound, just to make sure everything was looking good. I was five weeks and three days pregnant. They told us that they didn’t even think we’d be able to see a heartbeat at that point. I cannot convey the shock we felt when they saw not one heartbeat, but two! 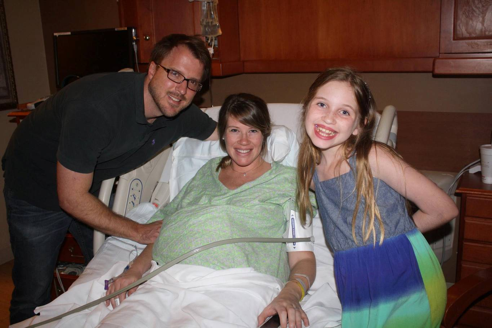 The ultrasound technician, Gail, who we would come to know very well in the coming months, said, “There are two yolk sacs here, do you know what that means?” I hesitantly said, “No…” knowing full well what that meant… We were expecting twins! It still gives me chills just thinking about it. On a side note, John joked from the moment we found out I was pregnant that it was “triplet boys.” John is John D. Fox III, and he was convinced that we would have boys and only boys, to carry on the Fox name. Certainly John D. Fox IV would be next! I had laughed him off, and honestly, not once ever seriously thought about the possibility of having more than one baby. When Gail told us we were expecting twins, John, never one to miss a beat, said, “Are you sure there’s not a third one in there?” I about died. At that point, we had absolutely no idea about the roller coaster of a journey upon which we were about to embark. The following weeks were filled with excitement and fear. The twins were originally categorized as Monoamniotic-Monochorionic, or Mo-Mo, twins. Mo-Mo twins, with the exception of conjoined twins, are the most dangerous type of twin to carry. This type of twin shares an amniotic sac as well as a placenta. It is very dangerous, because with no dividing membrane, cord entanglement can easily occur throughout the course of your pregnancy. Moms carrying this type of twin are generally admitted to the hospital at 26 weeks and kept under constant inpatient monitoring until their babies are safely delivered. Thankfully, they found the dividing membrane at a subsequent ultrasound (we had a total of 24 throughout the pregnancy). We were thrilled to find out we were actually having Monochorionic-Diamniotic, or Mo-Di, twins. 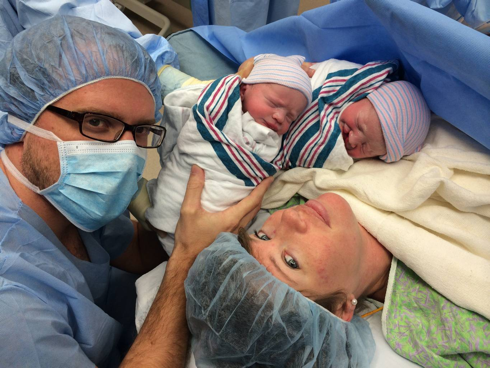 Our twins still carried a higher risk, as they shared a placenta, but they had separate amniotic sacs. Both Mo-Mo and Mo-Di twins are always identical. This was a huge relief, although there are still many risks and complications that can occur with Mo-Di twins. 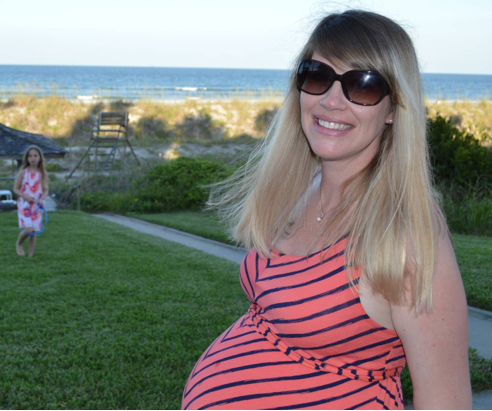 My husband and I quickly became well versed in all of the terms and possible complications that could occur during the course of my pregnancy. Lots of people say things like, “Oh, you’re having twins?! 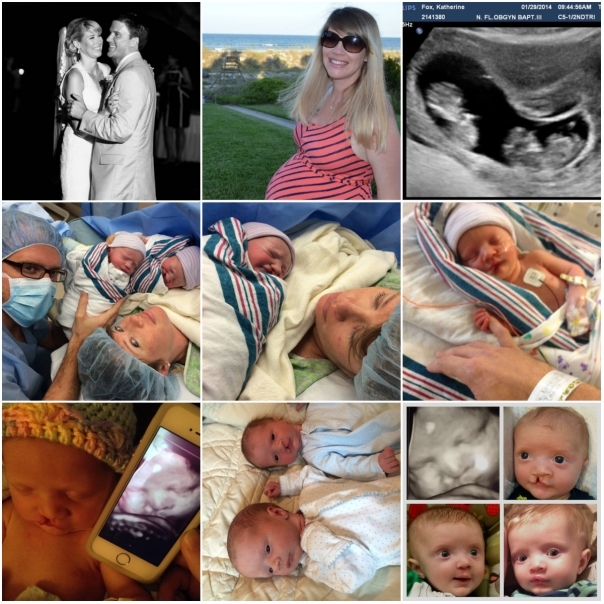 ?” “I always wanted twins.” or “You’re so lucky!” And we are so lucky and incredibly blessed. But on the flip side, many people don’t realize that it is also very scary and taxing to go through a twin pregnancy. It was impossible for me to relax and enjoy my pregnancy, as there were twists and turns and surprises and potential problems lurking around every corner. During the first trimester, my food aversions were out of control. I could not even walk into the kitchen of our house without gagging. My husband graciously took over all things related to food and dishes. The mere thought or mention of chicken, which was always one of my favorite foods, sent me running from the room with my hand over my mouth. I was honestly worried that I would never be able to eat chicken again. I also had a lot of pain and cramping throughout my pregnancy. When I was 10 weeks pregnant, I got up in the middle of the night for what seemed like my umpteenth trip to the bathroom. I was bleeding. Terrified is an understatement. I was beside myself, convinced that we were losing the pregnancy. My husband was immediately on the phone with the on-call nurse, who instructed us rather than going and sitting in the emergency room for a couple hours, to just show up the minute the office opened and they would do an ultrasound. Those three or four hours felt like an eternity, and I was out of my mind with worry. After waiting in a back office for what seemed like forever, we were ushered back into the ultrasound room with Gail, the wonderful ultrasound tech at our OB’s office. She immediately found two heartbeats. Thank God. I was instructed to take it easy and we were sent on our way. Over the course of the next few weeks, we found out that we were expecting boys! Identical twin boys. My husband was over the moon. We both were. As was his father, John, Jr. These would be the first male grandchildren and the Fox name would be carried on. 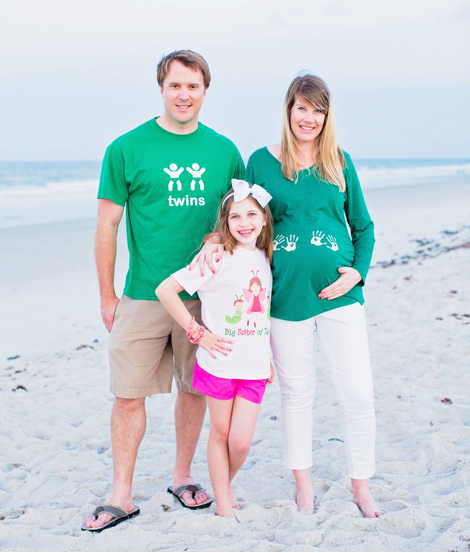 We joked for months that we were going to name them John IV and John V.
We also began seeing a Maternal Fetal Medicine (MFM) specialist in addition to our high-risk OB. Although we were nervous in general and held our breaths going into every single appointment, the day of our 20-week anatomy scan, April 8, 2014, our worst fears became a possibility. I was just beginning to be able to feel the boys wiggling around and was thinking that I would finally be able to relax some. When we got into our appointment, I informed the girl that I was always a nervous wreck until they told me both boys were okay. Then things came crashing to a halt. There were markers on our ultrasound that indicated a potential chromosomal abnormality. More specifically, they feared that the boys could have Trisomy 18, which the doctor explained to us was “incompatible with life.” I find myself overcome with emotion just typing the words. 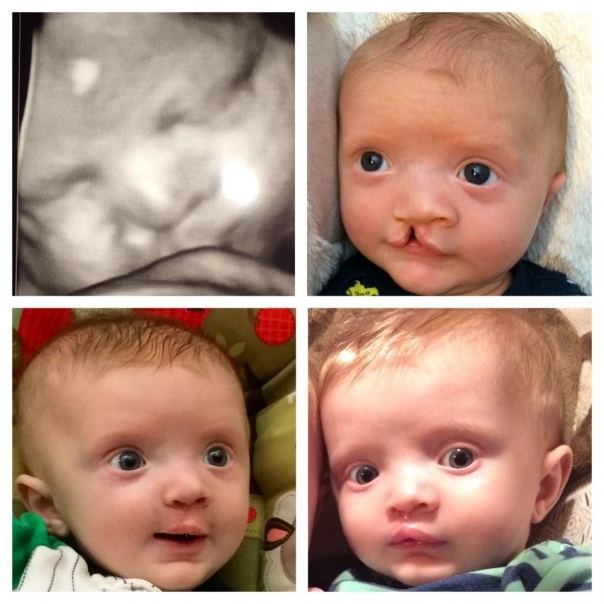 Baby A had a pocket in his brain known as a Choroid Plexus Cyst (CPC). Baby B had two of them. On their own, CPCs are not that uncommon and not a reason to be overly concerned. But there was more. It looked like Baby A also had a cleft lip. In conjunction, these markers were a cause for concern. I was inconsolable. John later said that the ultrasound technician had tears rolling down her face as she went through the process of the ultrasound, but I didn’t even notice. We were brought into a separate office and given our options. We could do an amniocentesis, which carried an even greater risk than usual as they would have to do it twice, once for each baby, but it would give us an absolute result. We could do a recently-developed blood test, to rule out any chromosomal abnormalities, but there was a margin of error, and even more so with twins. Our last option was to do nothing. Just wait and see. However, if it was Trisomy 18, the chances of the boys making it to birth were slim and they would likely not live long after delivery if we made it that far. We wanted to be prepared if this was the case, but were not comfortable doing the amniocentesis. We opted to go with the blood test, which had a turnaround time of at least a week. We were crushed. I don’t know how I functioned during that time. Actually, I barely functioned during that time. The 10 days we waited were hands down the hardest days of my entire life. I didn’t want to see anyone, talk to anyone, or go anywhere. Luckily, I was working from home and could hide behind my computer screen while getting the absolute minimum of what needed to be done completed. On Good Friday, April 18, 2014, two days before Easter Sunday, my husband got the call. The boys were negative for all trisomies. I fell to the floor with relief, and made him repeat it multiple times. 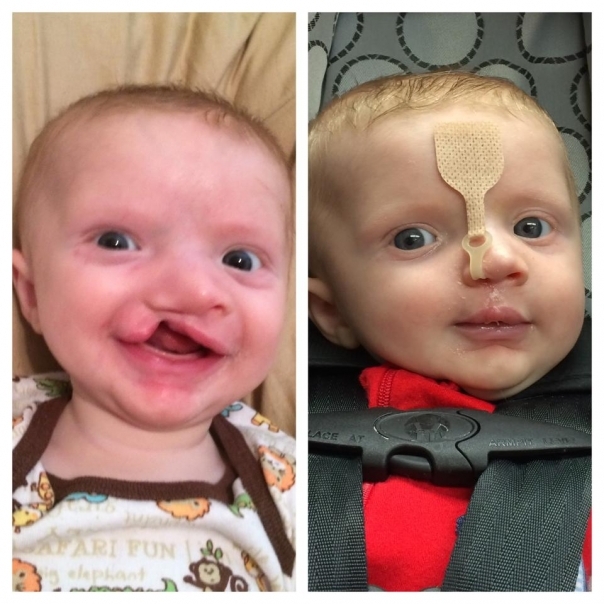 If a cleft lip was the worst of what we were dealing with, I would take it and be thankful! The boys were going to be okay! Many of our family and friends had no clue what we were going through during this time. In fact, we were about an hour away from canceling my baby shower scheduled for that weekend, as I was in no mood to celebrate until I found out that the boys were safe. We continued on through our pregnancy fearing the worst at every appointment, but we had come through the worst. At each ultrasound, they would turn on the 4D imaging to try and get a good look at Baby A’s mouth. We were able to get a couple of really good ones, which we obsessed over. I joined a Cleft Mom Support group on Facebook, which to this day is a constant source of joy and support for me. It is recommended that Mo-Di twins be delivered before 36 weeks and 6 days. This is because the babies are sharing one placenta and it can begin to break down towards the end of the pregnancy. It becomes safer to deliver than to continue with the pregnancy. We discussed this with our OB and scheduled an induction date of August 2, 2014. I would be 36 weeks and 4 days pregnant. The boys had been measuring almost exactly the same throughout the course of my pregnancy, but at our 33-week growth scan, there was a discrepancy. Baby A was estimated to weigh 5lbs2oz and Baby B 4lbs0oz. The discordance measured 22 percent, but we were assured that it was alright, as Baby B was still within the 36th percentile for weight. Still, it was something to watch. At that point, I was being seen every Tuesday and Friday for non-stress tests (NSTs), where they would strap a monitor for each baby to my stomach to monitor the babies’ heartbeats and give a score based on rates and acceleration, as well as biophysical profile (BPP) ultrasounds. I loved being monitored so closely, and looked forward to my twice weekly appointments. My next growth scan was at 36 weeks, a Tuesday. I was scheduled for induction that Saturday. However, at my 36-week appointment, the discordance between the boys had grown to 26 percent, and Baby B had fallen below the 10th percentile for weight. Due to these factors, they recommended delivery that day. Baby A was estimated to be 6lb8oz and Baby B was estimated to be 4lb12oz. 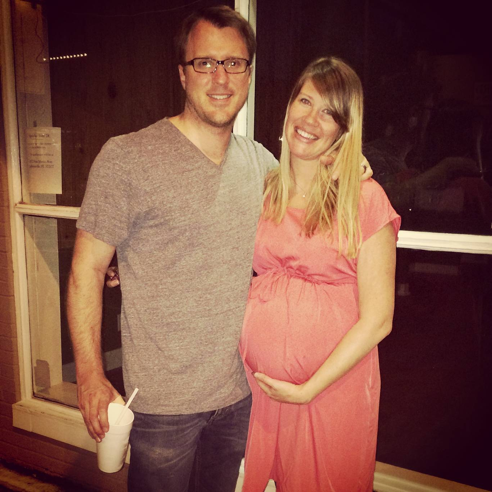 Because of Baby B’s smaller size, both the MFM and OB recommended that we opt for a c-section. Both boys were head down, and I had hoped to avoid the c-section, but it was a no-brainer when it came to the safety of the boys to go with the doctors’ recommendations. My NST and BPP were at 8:00 am that morning. I would not be leaving the hospital until after the boys were born! After being seen by both doctor’s, we headed down to labor and delivery to get checked in. My c-section was scheduled for 6:00 that evening. July 29th would be my boys’ birthday! I was both excited and terrified. The thought of having a c-section scared me greatly. The day flew by. The doctor was running late, and then there was a situation where the OR might be needed for an emergency c-section, so we got pushed back for a little while. Then, finally, they were ready and things started happening at lightning speed. The anesthesiologist and his assistant started asking me questions and walking me through what they were doing, while getting my spinal block ready. I have a long history of anxiety, so the time I was in the OR is a complete dreamlike hazy blur. The anesthesiologist pulled out his phone and asked me what kind of music I liked so that he could turn on a Pandora station. I couldn’t even think straight enough to name one musician or band I liked! Finally, I blurted out the first thing that popped into my head. Jack Johnson. Luckily, a great Pandora station to listen to while delivering babies! Having the spinal inserted was not particularly unpleasant. But my anxiety was on overdrive and I was having panic attacks about stopping breathing or my heart stopping, or something going terribly wrong. They hook you up to a blood pressure cuff and take your blood pressure every five minutes or so throughout the procedure. I remember craning my neck backward to watch every time I felt it squeeze, obsessing over my heart rate. The amazing nurse who had been with me all day was technically off work and ready to change shifts, but she knew how scared I was and stayed by my side until they were ready to operate. They checked to make sure I was completely numb, and then they began the procedure, as my OB and husband had a conversation about John knowing his daughter in high school. When I panic, I look for clues around me in the way people are acting. Between craning my neck backwards to make sure my heart was still beating (ha), I listened to my OB make useless chatter with my husband, the other doctor, and the team of what felt like 30 other people swarming about the operating room. I told myself, if they’re talking about high school nonsense, surely everything is going well, right? I probably asked 25 times if everything looked good and was going according to plan. I was repeatedly assured that it was. However, I was shaking uncontrollably during the procedure, to the point that my arms were jerking and my teeth were chattering. I later learned that this was not just the nerves; it was a common side-effect of the spinal block. While you are numb during the procedure, you definitely feel the pulling and jerking as they maneuver the babies out. Thinking back on it now, this all seems like it happened within about two minutes! And just like that, our boys were finally here! 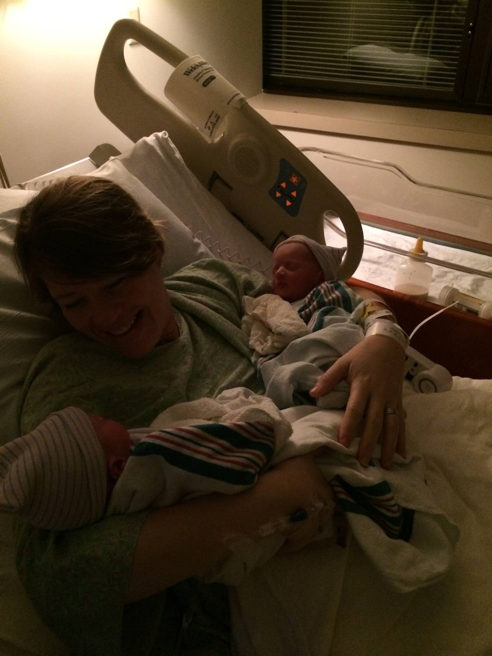 Luke was born at 7:33 pm and weighed 6lb2oz and Logan was born at 7:34 pm and weighed 4lb14oz. Both boys were brought to me while the doctors finished their work. Two babies. We had two babies! They were here and they were safe and that was all that mattered in the world. John stayed with the boys and I was taken to recovery, where they brought the boys to me a few minutes later. I was still obsessively watching the blood pressure machine and shaking uncontrollably, but I felt much better and very relieved. I will say that being completely numb from the chest down is probably the weirdest thing I have ever experienced in my life. We tried tandem nursing in the recovery room, but I knew that chances were very slim due to Luke’s cleft palate. And Logan was so tiny, he couldn’t really latch. After an hour or so, we proceeded up to the maternity floor. 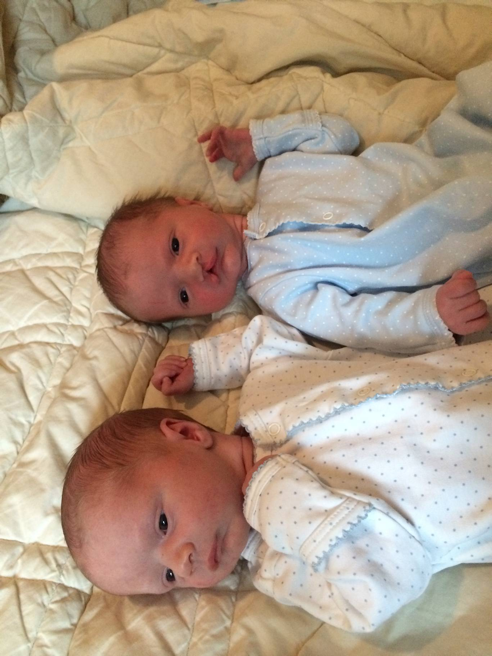 The boys were able to stay with me from the beginning, and I thought we had avoided NICU time. However, overnight Logan became hypoglycemic and by the next morning had been admitted to the NICU to stabilize his blood sugar. 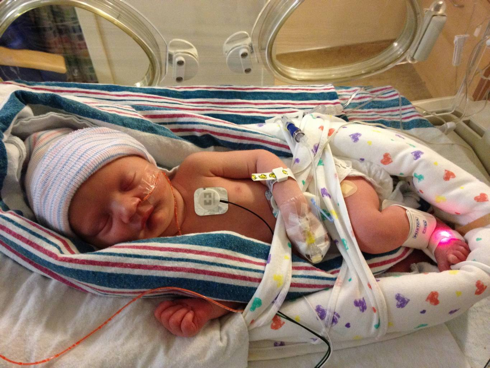 Having Logan in the NICU was a drill. My husband was free to go back and forth and spent a lot of time with him. I was not yet able to be very mobile, and it was really hard knowing he was a floor below me and I couldn’t easily get to him. On the day after the boys were born, I felt very good. I did not want to take pain medicine unnecessarily, so I declined the higher-strength painkillers. This was a mistake. I had forgotten that they told me that it would take the spinal block 24-36 hours to wear off. I did not realize that I was still seemingly free from pain for that reason. Big mistake. I woke up at 3:00 am thinking I was going to die. It felt like I was splitting in two. I could not get the painkillers fast enough. It was miserable. From that point on, I stayed ahead of the pain, taking the medicine whenever it was offered. In the hospital at which I delivered, after a c-section, you are required to stay for 72 hours, which would have been Friday evening. I didn’t want to leave Logan, and was able to push our discharge until Saturday afternoon. Luke, John, and I came home around 6:00 Saturday evening. Although I would have 100 percent preferred to have both of my boys come home with me, I do understand why some people say it is easier to get acclimated with one twin before bringing the other one home. It was terribly hard thinking of Logan sitting there in the NICU without me and the fact that my husband had been able to spend about 10 times as much time with him as I had. Luckily, we only lived about 15 minutes from the hospital, and could go back several times a day to be with him. And even more luckily, Logan was discharged to come home with us only three days later, at exactly one-week old. Although the first week with Logan being in the NICU was incredibly hard, I quickly felt just as close and bonded to him as I did to Luke. The boys turned seven months old last week. Time has flown by. We are already through Luke’s first of multiple surgeries. The boys are absolutely amazing, and I am thankful every single day, many times, for this experience. Lily is a wonderful big sister. The boys adore her. I am so glad that I get to experience this bond between my children. To watch them grow together. I would take another set of twins in a heartbeat. Even after everything we went through, as difficult and scary as the pregnancy was, I would do it all again. Happily. I wish for it. There is absolutely nothing like this beautiful experience. A lot of moms ask when it hit you that you have twins. I can honestly say that I still look at my boys at least once a day and marvel that there really are two of them. This has already been the most incredible journey that I can imagine, and it is just beginning. Kate Fox lives in Jacksonville, Florida, with her husband, John, and their three children, Lily (10), and Luke and Logan (7 months). She left her career in commercial real estate appraisal to be a stay-at-home mom. Kate’s favorite things include reading, family walks, movie night, good food, and the occasional weekend away. One of six kids, family is the most important thing to her, and she hopes to expand her own family in the future. You can follow Kate and her family on Instagram @KateFox1013. Thank you so much for sharing your story!! It was beautiful. 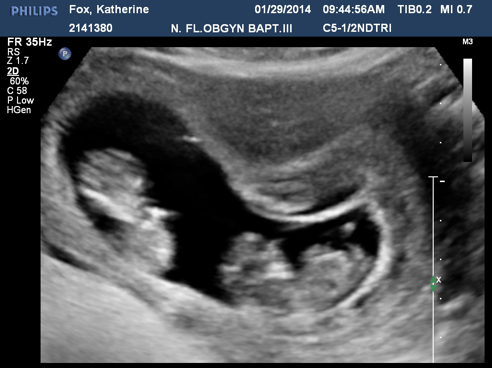 We are expecting di-di twins in Aug 2015 (Our 1st and 2nd child at once!). I am learning so much. Kate (always Katie to me) I cant tell you how special your story is. I am crying right now! You are such a strong mom. I felt like I could here you telling your story. I am so happy for you and John. Luke and Logan are such a blessing. Two handsome boys with an amazing, beautiful, smart mommy. Love you and miss you girl! oh my gosh i am so touched by your story. I am currently preganant expecting mono/di twin boys also 🙂 i am due June 6th 2017. 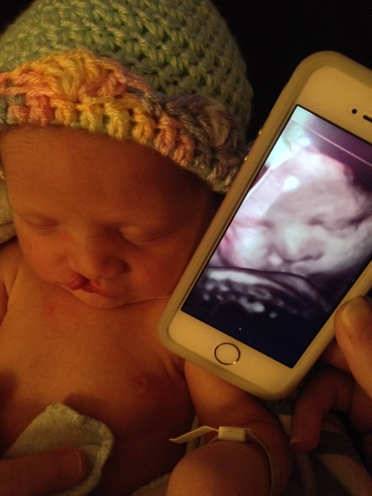 This post made me emotional, and I’m not even pregnant! So glad everything turned out well. How scary!